Le Zénith in Paris ? 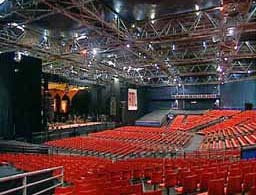 Le Zénith is the common name for more than a dozen similar, purpose-built concert venues in France. There are 15 such venues located in Caen, Clermont-Ferrand, Dijon, Lille, Limoges, Montpellier, Nancy, Nantes, Orléans, Paris, Pau, Rouen, Strasbourg, Toulon and Toulouse. The first Zénith was built in Paris in 1983 to replace the converted slaughter-house Pavillon de Paris. The venue has a capacity of approximately 7,000 for concerts. It is located in the parc de la Villette, 19th arrondissement.